Are you new to Life Pointe? Our monthly Starting Pointe Dessert on the first Sunday evening of each month is designed just for you. Enjoy delicious desserts. Meet our Lead Pastor.  Connect with others who are new to LPC. Learn more about who we are as a church. Sign up to receive a personal invitation. Please provide your name, phone number, email so we can get in contact with you. If you have any children please let us know their names and ages so we can try and have childcare available.